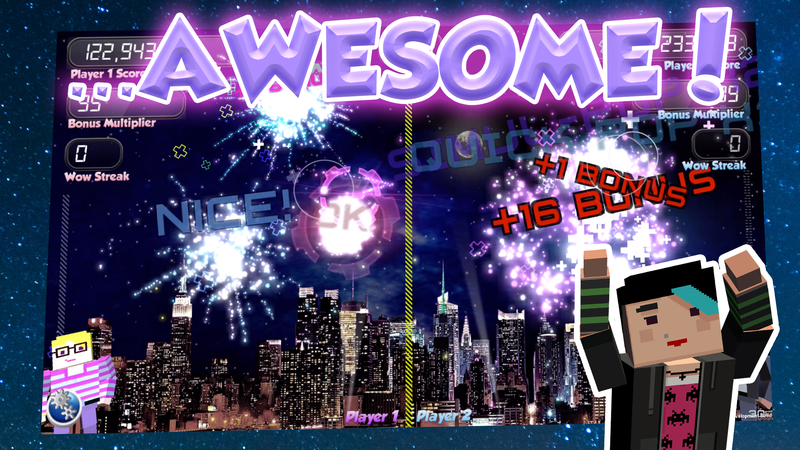 Fireworks Hero: Fireworks Are Awesome! 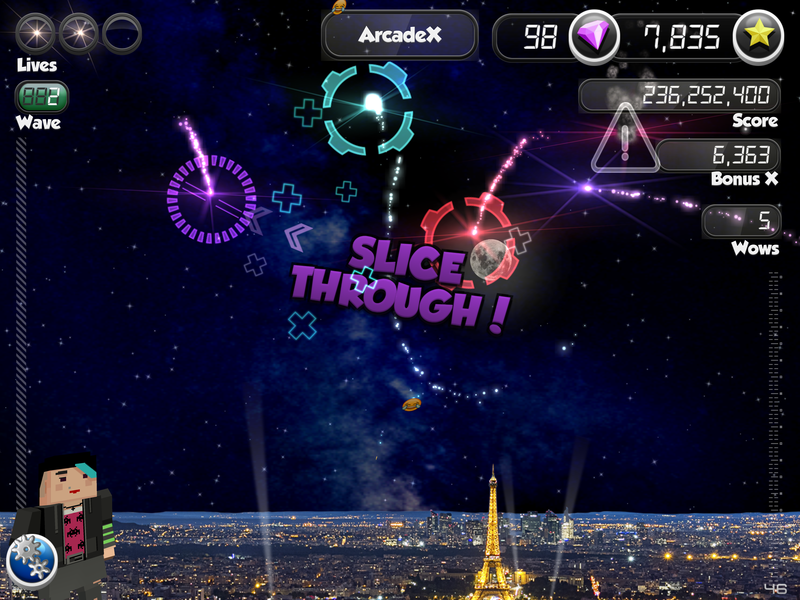 Featuring a wide range of game modes, ranging from action-packed Arcade to creative modes to two-player versus modes! 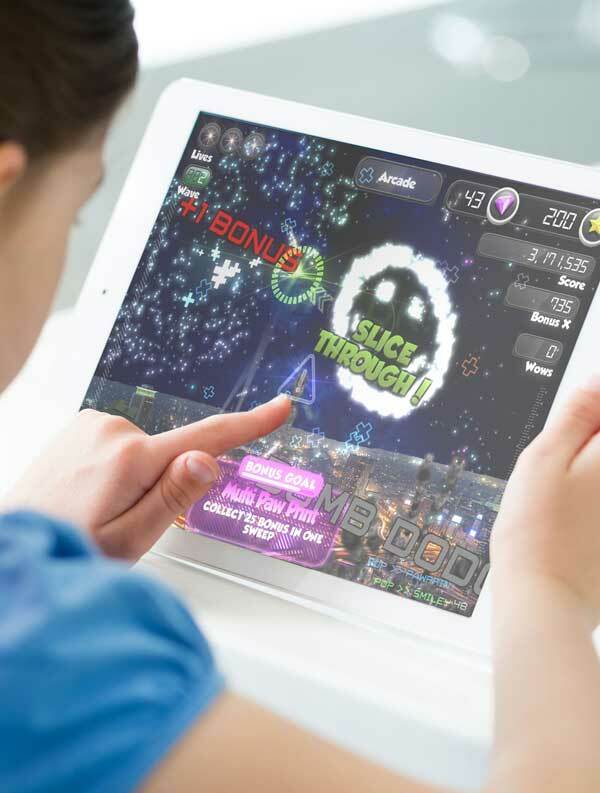 Design your own fireworks, or challenge a friend to Spark Pong! 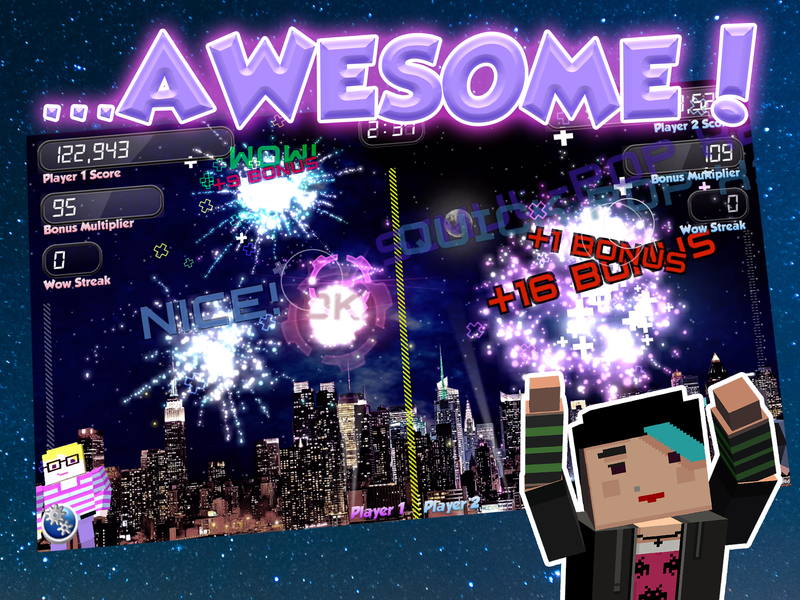 Take on the Challenge stages, or fire your own fireworks in Launcher mode! 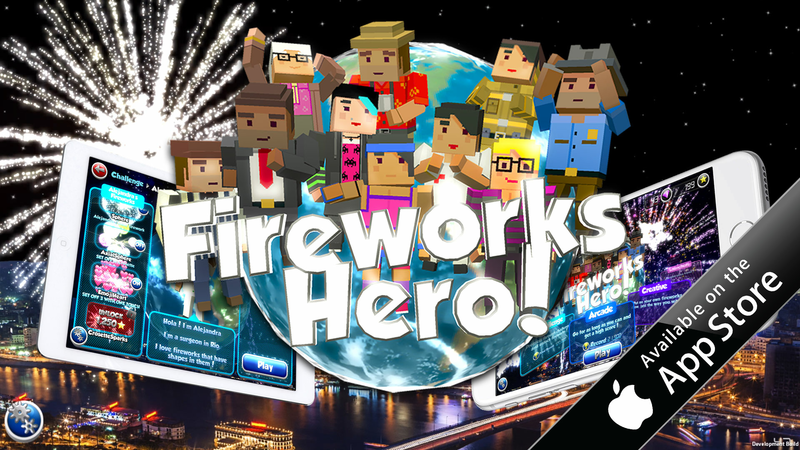 Travel around the world, from New York City to Johannesburg, from Seoul to Rio di Janiero, from Mumbai to Cairo, see the Eiffel Tower and the Jerusalem's Dome of the Rock...launch beautiful fireworks over stunning skylines -- and see if you can be the next Fireworks Hero! 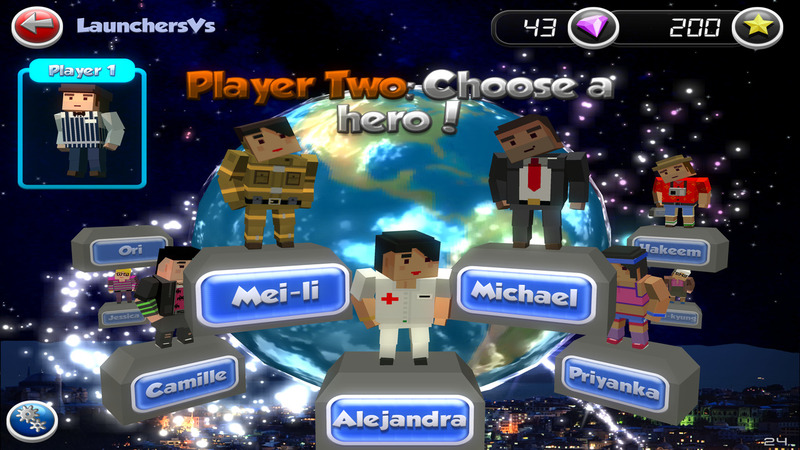 Customize your weather conditions -- is it so clear you can see the Milky Way? 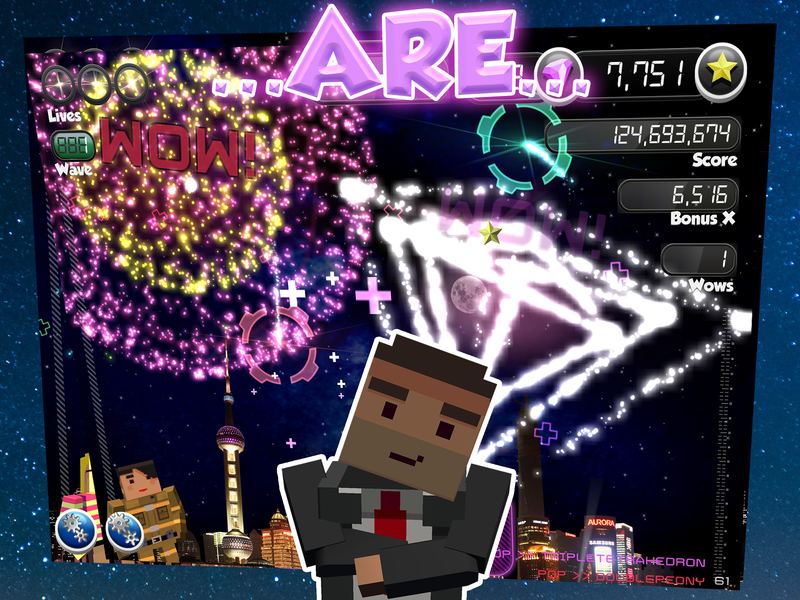 Is the moon out? Are there romantic cumulus clouds? 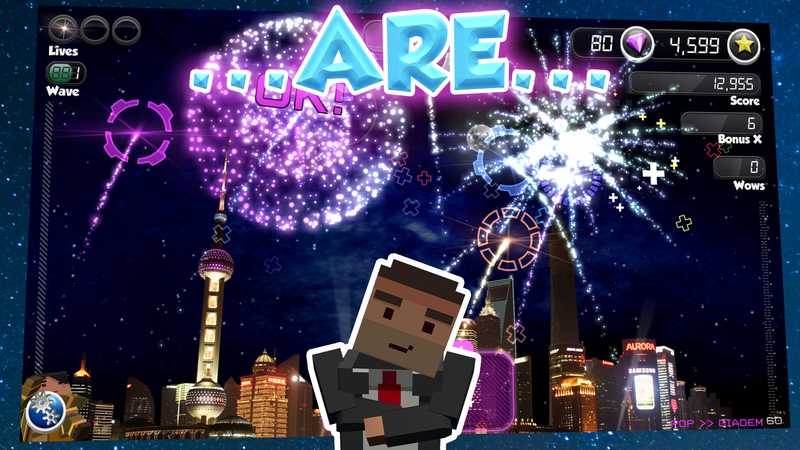 Set up the perfect sky for a beautiful fireworks show! 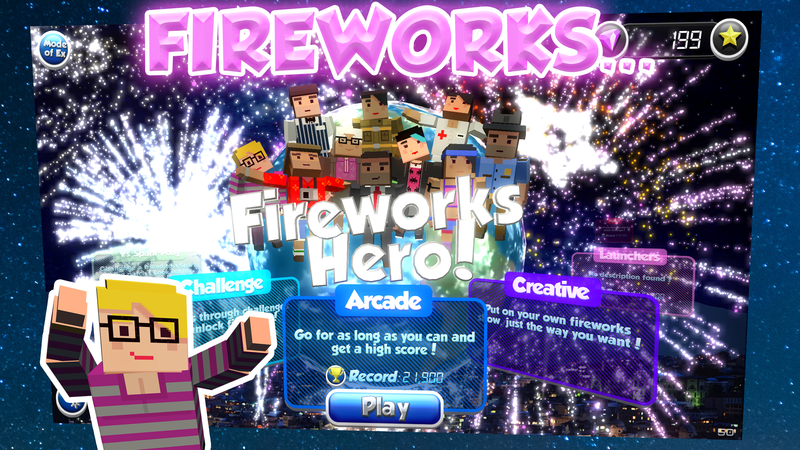 Fireworks Hero is a fully multi-touch game, so play with a friend and see how far you can get! 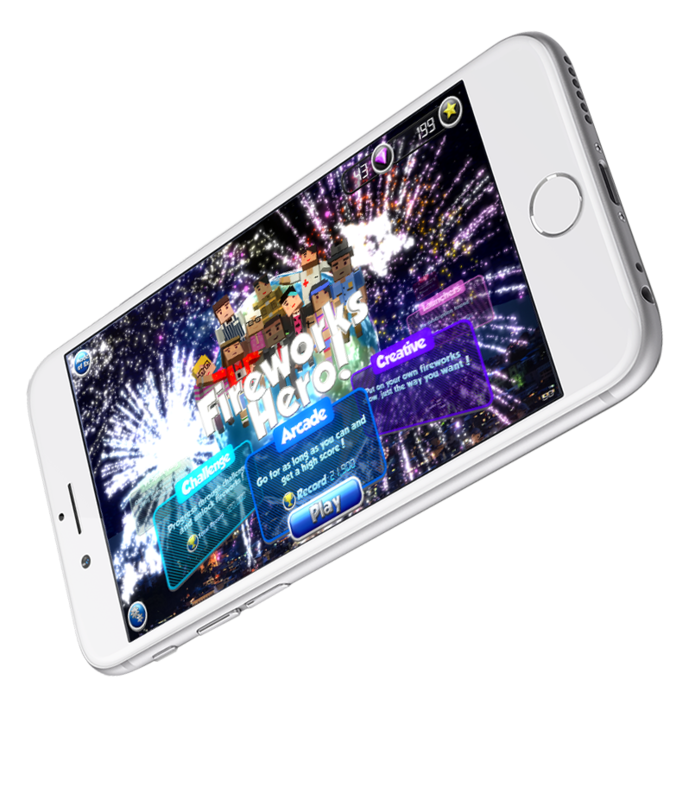 Good luck, and who knows...maybe you'll even unlock the EMOJI fireworks! 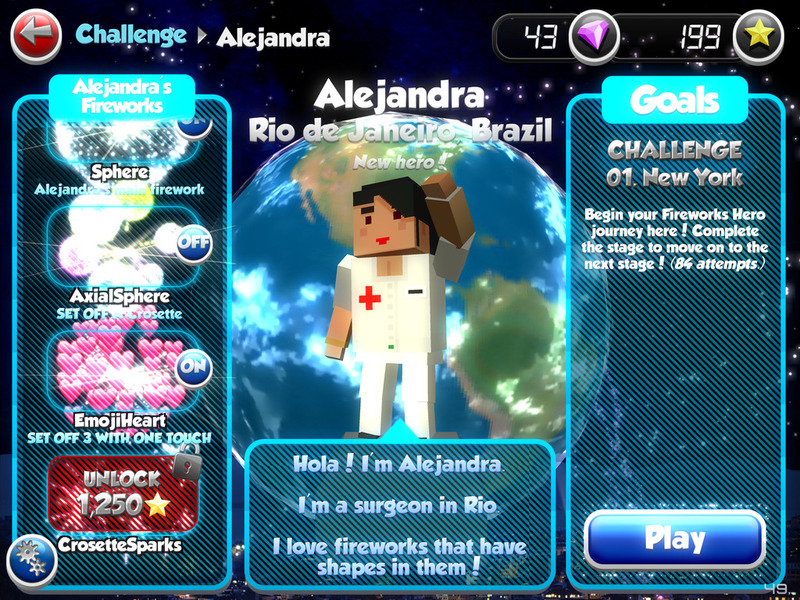 Fireworks Hero! 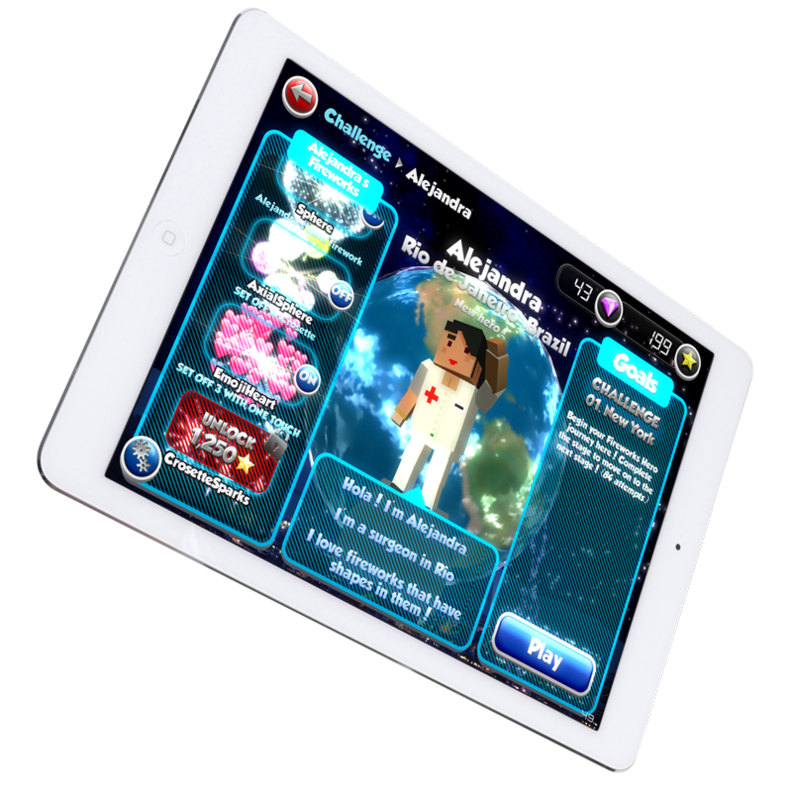 takes our 2015 educational game and amps up the action. 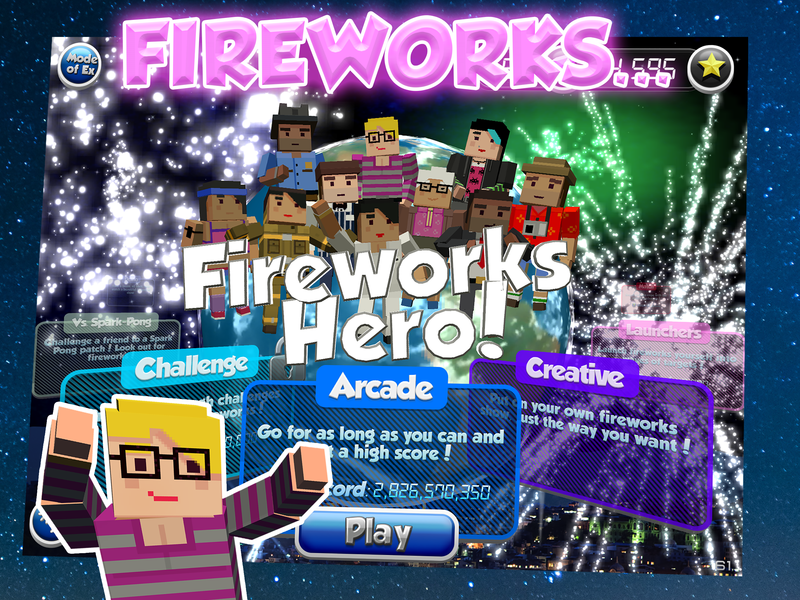 In lieu of Word Fireworks' language learning content, Fireworks Hero! 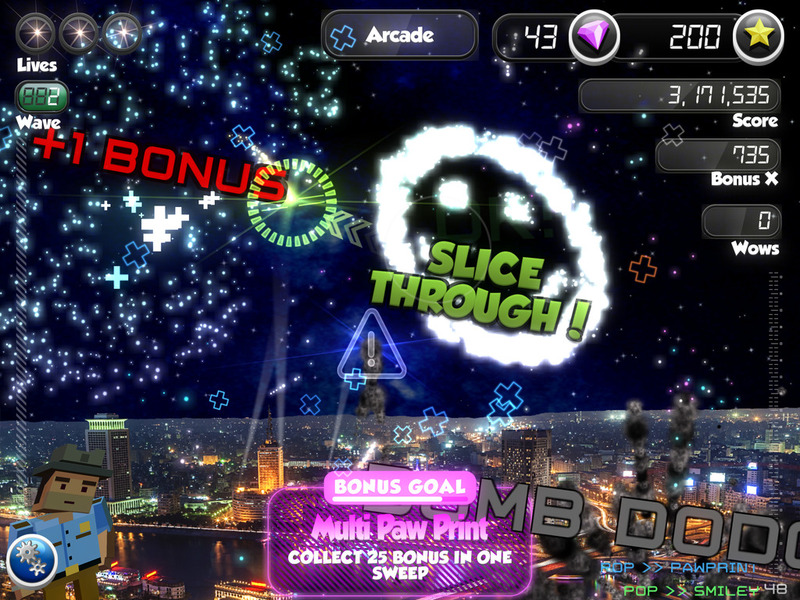 challenges players' reflexes with fireworks that need to be tapped, plucked, sliced, and charged. 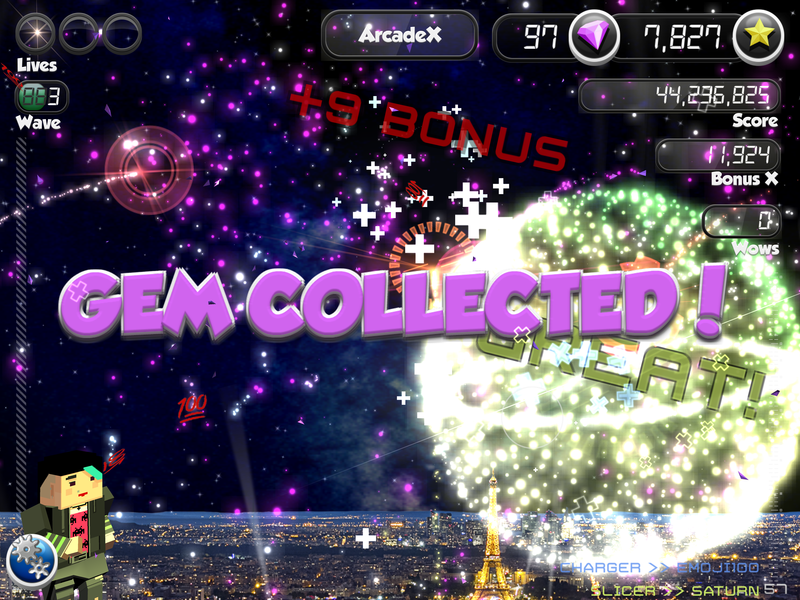 More than a dozen game modes, including Arcade, Creative, and Challenge modes! 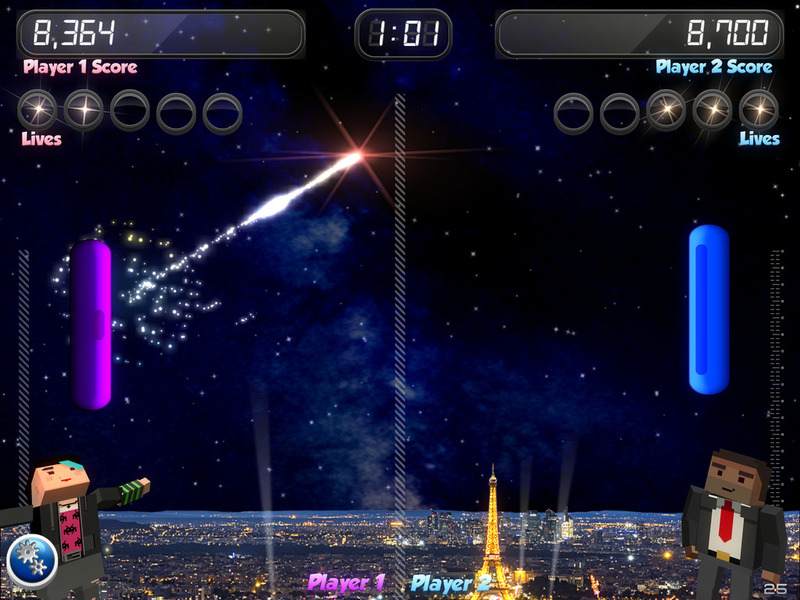 Multiple Vs. Two-Player modes, from Arcade Vs. to Spark-Pong! 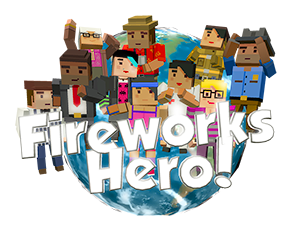 The product site for Fireworks Hero! .